Do you know for sure that “Sessions was a key record for Tim Buckley”? 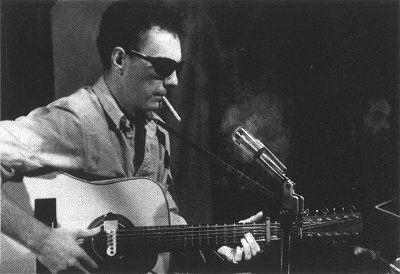 Clearly Neil’s impact on Buckley was considerable, but I tend to think that this was more through live performance, and the Fred Neil album. Apparently Tim (and band?) were in the studio watching as Fred recorded The Dolphins, and were suitably impressed as the Neil band recorded the song three times, with three significantly different feels. Trust you to pick a nit! I can’t be certain, I guess. Some combination of hunch and half-remembered Larry Beckett interview where he said that Buckley never stopped listening to Neil. If that’s true, it would strongly suggest Buckley would have acquired any Fred Neil record that came out and studied it. And it just makes sense to me that the looseness of Sessions was among the things that inspired Buckley to get looser himself (Gypsy Woman and so on). It was more in the spirit of cusiosity than nit-picking that I asked. I used to read whatever I could about both of these guys 15 or so years ago (wow! ), but there wasn’t that much stuff around. Now, I’m sure there’s much more out on both. Is that a Lee Underwood quote, or Larry Beckett? To my ear, Neil’s influence on Buckley is most clearly audible at the time of Dream Letter (October 1968), and it diminishes thereafter – which isn’t of course to say that Tim stopped caring for Fred’s music. I have read a very interesting Q&A with Lee Underwood, though. If I can find it, I’ll send it. It’s not the one you linked to below, but it does cover some of the same ground. It was a questions-from-fans kind of thing, I think. Just stumbled upon your review, and it’s excellent. I’ll not get into a debate about the ins-and-outs of it. Suffice to say that I got turned on to Fred back when Sessions came out, by a friend who was deep into the blues & folk scene in the US back then (my friend borrowed my guitar & Mississippi John Hurt album and wore them both out learning to play the album). I especially like your “what songs…what sessions.” Indeed. Merry Go Round Shmerry Go Round. It’s his take on “In The Pines!. “There’s a Jim Crow section on the merry-go-round for a boy who’s black”. WOW! 2) In the Pines” (also known as “Black Girl” and “Where Did You Sleep Last Night”) is a traditional American folk song which dates back to at least the 1870s, and is believed to be Southern Appalachian in origin. Traditionally, it is most often associated with the American folk musician Lead Belly, who recorded several versions in the 1940s. That’s really interesting. I knew In the Pines, of course, but am not familiar with Langston Hughes other than as a name. I assumed Neil originated that part. Thanks for commenting! The Hughes poem was 1958. The Niel song was 1967.